My husband has been away these past few days and I have been sleeping like a top, sleeping so soundly the hours pass in an instant. And it’s not because I do not miss him. How can I write this without seemingly taking the mickey out of the man I love? I have been thinking on this issue for some time now. Ever since I read Lynn Freed’s wonderful book on Reading Writing and Leaving Home. My husband has left home, albeit briefly, and I am left lonelier, but free from his incessant snoring. Lynn Freed writes about snoring stories as the great stories of revenge, the way in which at dinner partes, women, and it is usually women, tell stories about the nature of their husband’s snoring. They can keep their fellow dinner guests in stitches as they regale them of the horrors of those late night trumpet calls, while the husband, the poor perpetrator of said snores is left humiliated and in shame. 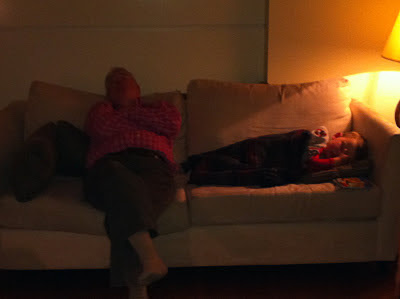 Two generations – asleep and snoring? It’s true. I do not write about such things as a rule because I do not want to humiliate or belittle the ones I love, or do I? My thesis topics pops back into my mind. It has been absent for several months now. I’m still waiting to hear whether or not I have passed. Life writing and the desire for revenge. The way in which a desire for revenge can inspire writing, not that I want to take revenge on my husband or do I? I cannot talk easily about his snoring. He finds it insulting. He tries to stop. He rolls over when I nudge him, but even then within minutes his throat constricts and he is back at it again. Is it his helplessness against snoring that causes him to want to throw it back at me? ‘You snore, too.’ The gut impulse. The talion principle, an eye for an eye. You insult me and I’ll insult you back. Or is it something else? Please, don’t talk about sleep apnoea or other common ailments. I do not believe it to be the case here. I put it down to age and occasionally too much red wine, but even when he drinks lightly or not at all the snoring persists. I play musical beds until it subsides. The past few days I have not needed to move about. I can stay put, hence my sleep is more sound. I have a friend whose wife snores. She is the culprit, and the same principles apply. They came to our house one day overjoyed to have found a new treatment, a sliver of something or other than you put on the back of your tongue, a wafer like substance that dissolves in your mouth and apparently stops the snoring. 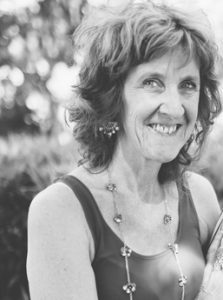 My friend is a beautiful and dignified women in her sixties. How can it be that her snoring is enough to wake the dead? She smokes, her husband says by way of explanation. She smokes. Maybe that is the cause. Smoking’s to blame. It seems we need to find some point from which we can blame the perpetrator of snores, hence the additional shame. Snoring is treated as a crime, and yet it is one from which we all suffer. It cannot be a crime. It is only a problem when the person who shares your bed finds it too much. Or when it suggests some malady in need of attention. As I said earlier, I put it down to aging. I am like my mother here. She ascribes every bodily ailment that slows her down to her aging. I, too, imagine that my husband’s snoring comes of his aging and he like me is ashamed of both. Why be ashamed of our aging? ‘Aging and its evidence remain life’s most predictable events, yet they also remain matters we prefer to leave unmentioned, unexplored: I have watched tears flood the eyes of grown women, loved women, women of talent and accomplishment, for no reason other than that a small child in the room, more often than not an adored niece or nephew, has just described them as ‘wrinkly’, or asked how old they are. Didion’s thoughts about her daughter’s adoption, life, and early death lead Didion into thoughts on her own aging and frailty. It’s a thing that dogs us all, this aging business. I talked about it recently among a small group of friends and most resonated, though the youngest of our group, a woman in her early forties with a small child at home, brushed it off. It’s too far away from her. I used to be like that, too. I used to think that I would not worry about getting old until it hit me and then I’d die. But these days it hits me daily with a ferocity I had never imagined possible. It is like wading through mud. The fact that I used to have a school aged child and that my mother is still alive convinced me that I was still a long way away from needing to reflect on this, but my daughter has just now finished school and my mother who lives on and now plans to reach one hundred, reminds me of my age. I have been following some of the discussion on the blog No place for sheep, in part a debate over feminism, in part over freedom of speech and all because of one woman’s threat to sue another for defamation. I am amazed at the heat that’s generated there. The language from those who comment is largely academic, or religious or occasionally a rant. I do not feel equipped to enter into the discussion. It terrifies me. I stand in awe of Jennifer Wilson’s ability to respond to her detractors. I could not sleep at night if it were me. The comments roll in thick and fast, as if we are on a battle field and the first line of attackers arrive only to be repelled, soon followed by the next line of attack. Of course there are many, perhaps more commenters, who are on Jennifer Wilson’s side. It puts me in mind of the nature of conflict and how we deal with it, on line and off. I’m not so good at it myself. A fight wells up and I can feel my heart thumping, the perspiration under my arm pits shudders to the surface and my mouth goes dry. 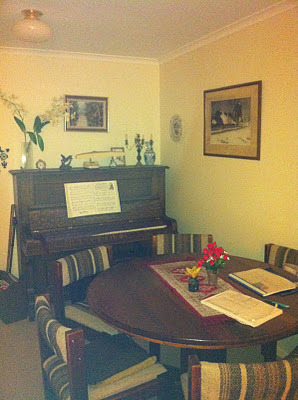 I pitch myself back in time to my mother’s piano in the hallway of the Camberwell house. It is a tall and dark hearse-like instrument with keys made of real ivory. I think of all the dead elephants that went into the making of my mother’s piano, elephants all the way from Africa. The name above the keys in gold lettering, ornate as a dancer, takes me to Europe in my imagination. A German name maybe, or Austrian. A name that speaks of dead composers, or ancient carpenters, cabinet makers, craftsmen, always men, who built the box that holds the sliced elephant tusks on my mother’s piano. My mother plays Die Fledermaus. She sings along, Dutch words, military words, words that take her elsewhere back to her girlhood, back to her old life, back home to the Marnixplein where the life she leads now was still a dream, filled with hopefulness and colour, filled with the joy of her youth, her beauty and her prospects. My mother’s voice rises above the roar of trucks along Canterbury Road. My mother’s voice rises above the cacophony of voices from the television. My father turns the dial higher and higher. The television volume goes up and up. The house is alive with noise: my mother’s music, my father’s silent screams for attention, louder and louder and I cannot think for the noise of my parents, for the drums of war, the aeroplanes that fly over head, the bombs that drop. And all the time behind my eyes an ache swells. I don’t want to fight, I want to cry.